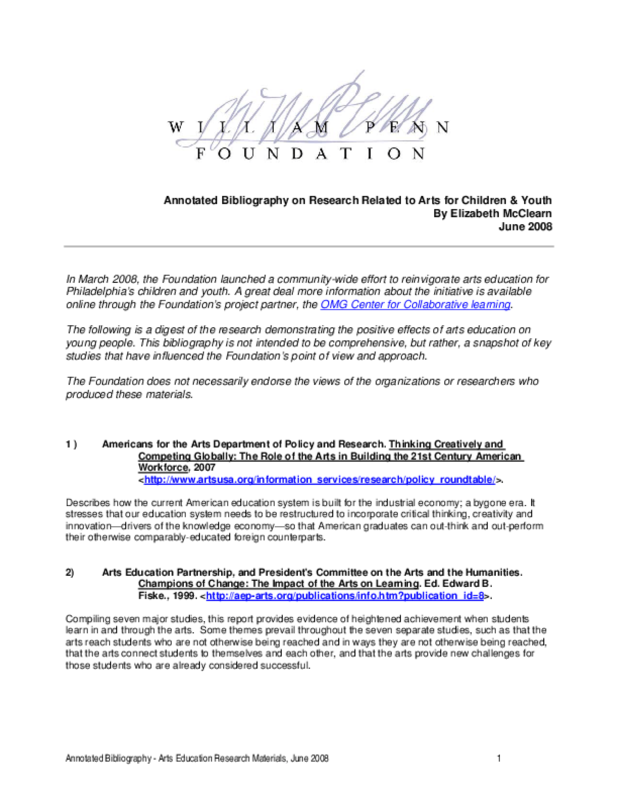 Describes the trend toward coordinated approaches to arts education, with a focus on a Wallace-funded program linking artists, local government, cultural organizations, schools, and parents to bring quality arts education to Dallas' poorest children. What impact can after-school programs have on the educational achievement of high school students? 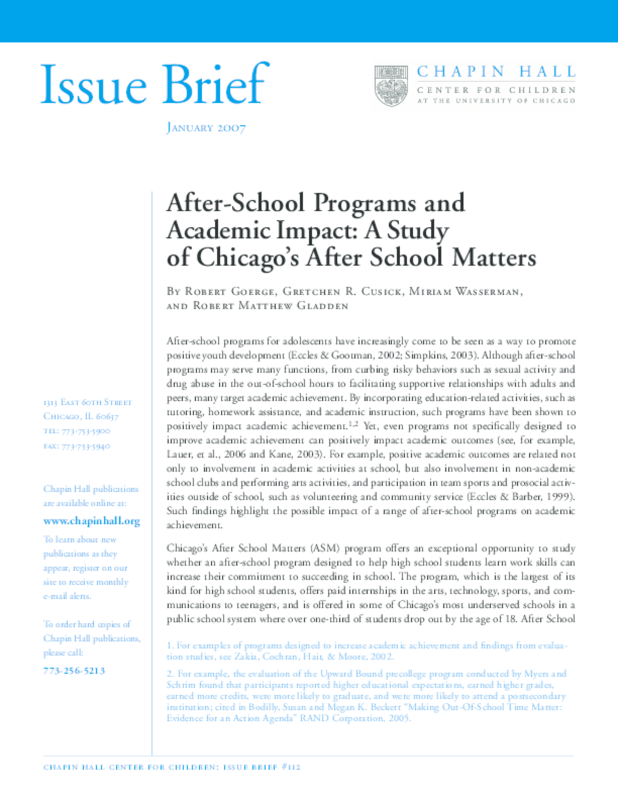 A new study of Chicago's After School Matters (ASM) program -- which offers paid internships in the arts, technology, sports, and communications to teenagers in some of the city's most underserved schools -- finds a relationship between participating in after-school activities and higher class attendance, lower course failures and higher graduation rates. Even after taking into account student demographic characteristics and prior attendance records, students who participate in ASM miss fewer days of school than their classmates. Similarly, students who participated at the highest levels in the after-school program tended to fail fewer core academic courses (English, Math, Science, and Social Studies). Furthermore, over the course of their time in high school, students who were enrolled in ASM for three or more semesters and those who participated at the highest levels had higher rates of graduation and lower dropout rates than similar students who did not participate in the program. The findings in this report highlight the importance of further research into what leads students to participate in after-school programs and the factors that lead to higher engagement and retention once they are enrolled. A better understanding is crucial for improving enrollment in after-school programs such as ASM. Moreover, accounting for student factors that lead to a greater engagement in the program will lead to a clearer understanding of ASM's contribution to the positive outcomes -- independent of hard-to-observe student characteristics such as enthusiasm or dedication. 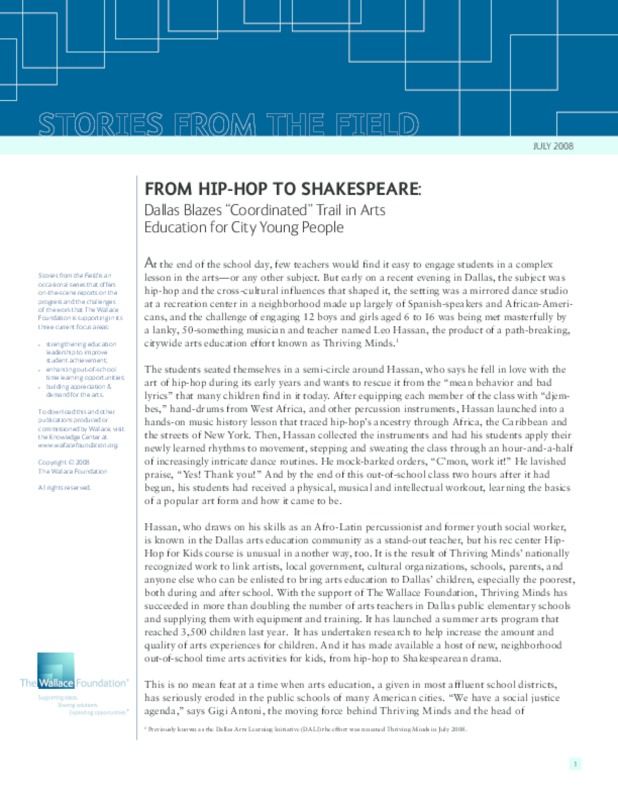 The profound impact of arts education on children and youth follows them throughout their lives. Arts education rewards our children by helping them to reach practical goals such as academic achievement and career success. Arts education enriches our youth with social, cultural and emotional benefits. 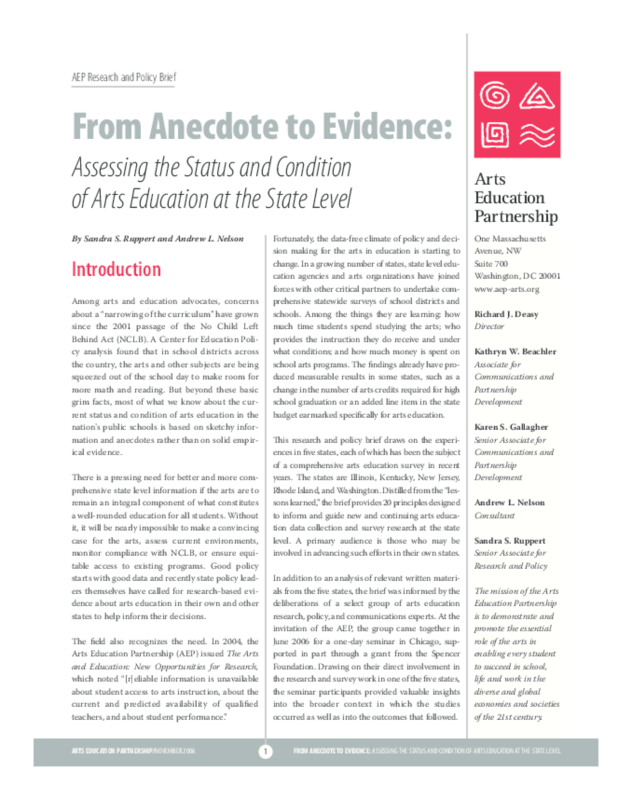 As shown in study after study, a widely held belief in the positive value of arts education is shared by parents, teachers, school administrators and arts education experts. This belief is the reason that arts education has historically been an important part of the education of our children in the United States. 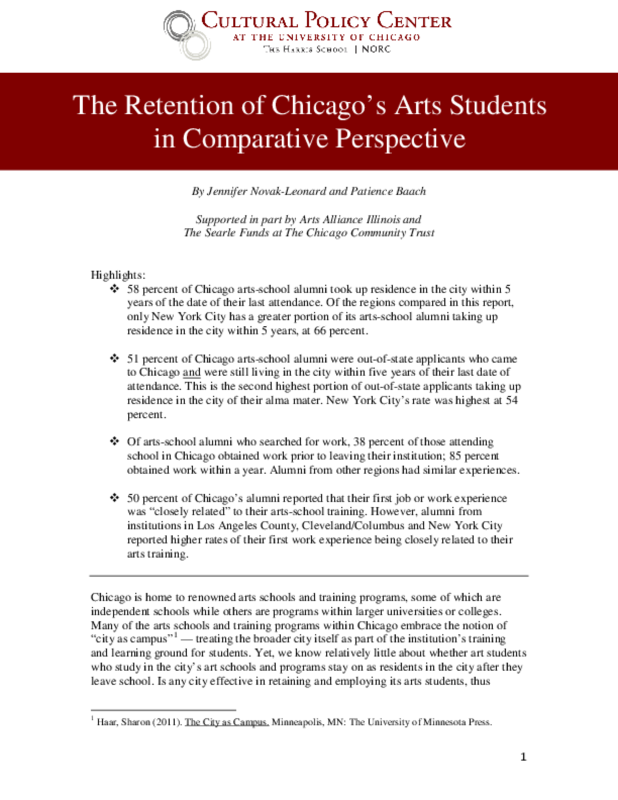 However, deeper analysis both nationwide and here in Illinois reveals a gap between what individuals, educators and elected officials profess as the value of arts education and what is allocated to arts education in terms of budget, faculty, class time, curriculum, planning and evaluation. 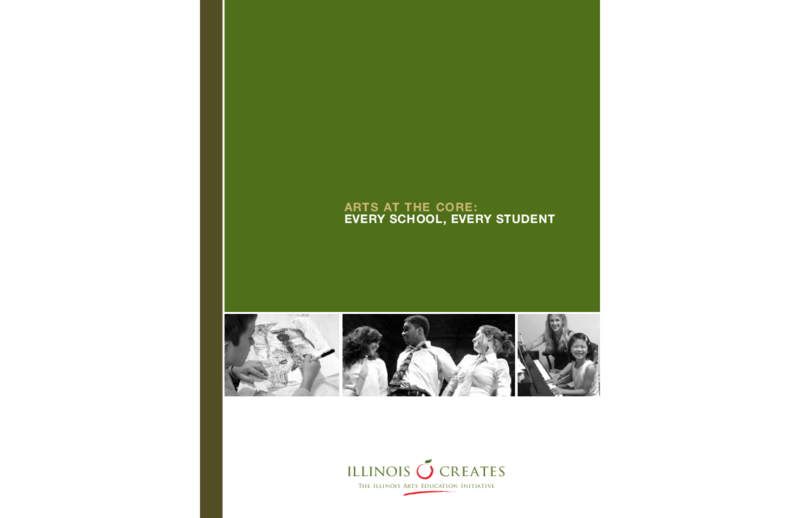 Illinois Creates is a broad-based statewide coalition of 150 education, business, civic and arts advocates dedicated to promoting a comprehensive, standards-based arts education program for all Illinois public school students. 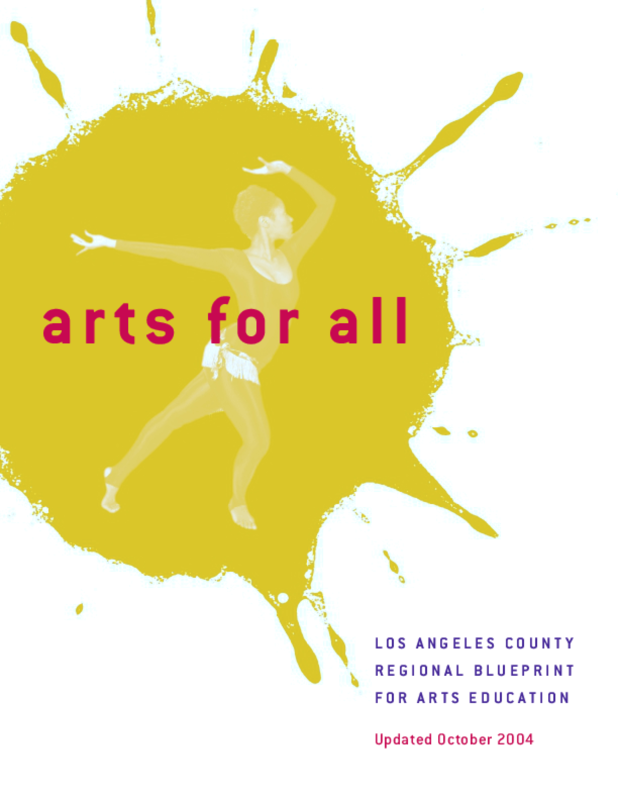 ARTS FOR ALL: Los Angeles County Regional Blueprint for Arts Education provides guidance and an outline of how to achieve this vision. It presents a comprehensive series of policy changes, educational initiatives, and establishment of a new infrastructure to promote systemic and balanced provision of the arts, and identifies the roles of key stakeholders. The Blueprint proposes that systemic change can only occur through the cooperative participation of all stakeholders and by working to develop supportive policy and action at each level of involvement. Since 2002, when the Blueprint was adopted, much progress has been made toward achieving its vision and many new partners have been engaged in the process. Updates on pages 11 -- 17 reflect this forward movement.